Kent Moe oversees all land and building development activities and services for Alter’s properties in the southwestern United States. Kent’s significant development portfolio includes Riverwalk at Talking Stick, a 187-acre mixed-use park on Native American land in Scottsdale, AZ; Peoria Center at Arrowhead, a 7.7-acre office park in Peoria, AZ; the Arizona Health & Technology Park, a 50-acre medical office and biomedical research campus in Mesa, AZ; Corridors – Phoenix, an 80-acre corporate office park that ultimately will contain between 1,000,000 SF and 1,400,000 SF in Phoenix, AZ; Desert Canyon Corporate Campus in Phoenix, AZ; and Buckeye Logistics Center, a 162-acre distribution park in Phoenix, AZ. Kent’s expertise centers on land acquisition and planning, engineering, site design, landscape architecture, building architecture, annexation and zoning, due diligence, environmental work, subdivision and platting, permitting and construction. He also is responsible for all tenant-improvement activities. 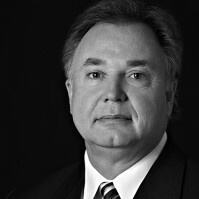 Kent began his planning and development career in 1983, as part of OPUS, one of the nation’s largest design/build developers, where he was the youngest director of construction in the company’s history. He joined Alter in 2000. Kent holds a Bachelor of Science in Business Administration from Minnesota State University at Mankato. He is a licensed Contractor in the state of Nevada and a member of the National Association of Industrial & Office Properties, and the Valley Partnership.